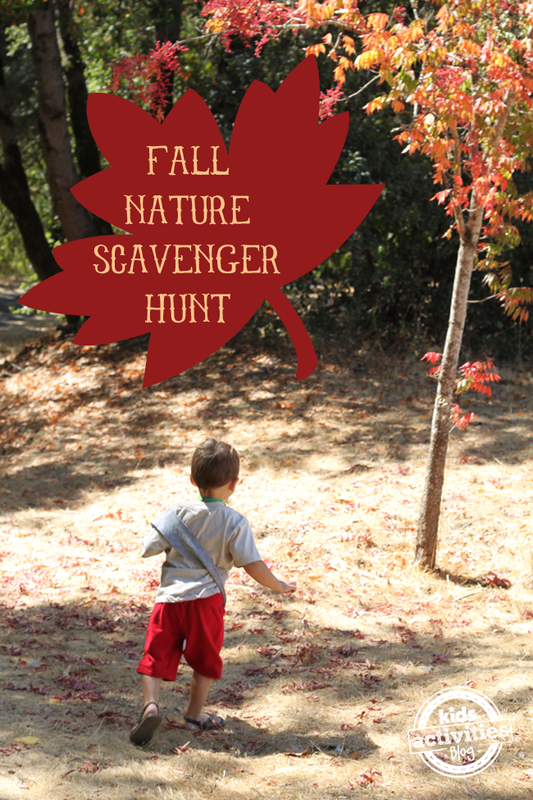 Our fall nature scavenger hunt is the perfect excuse to get outside and enjoy the season with your kids. This scavenger hunt is extra fun with a free printable that encourages exploration and can even be colored! This activity works with a large range of ages, making it a great way for the whole family to spend an afternoon. 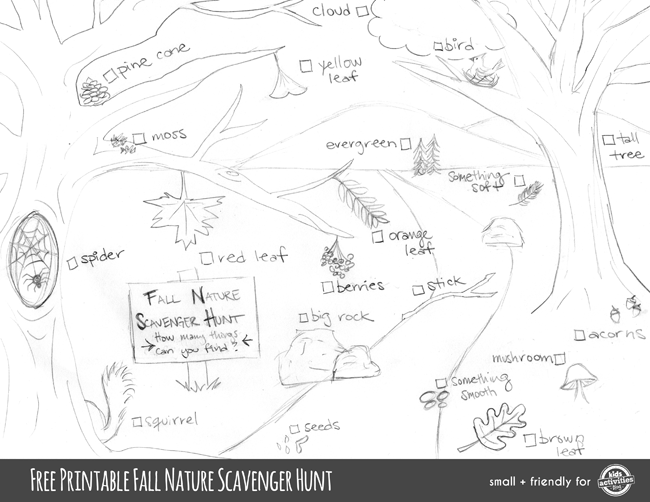 This scavenger hunt encourages children to observe nature and the changing seasons with a keen eye. It is an opportunity to learn and discover interesting things about the natural world. So, on the next wonderfully autumnal day, find a pretty spot whether that be a local park to your own backyard and see how many things you can find! A place full of fall nature! Try to find as many items on the sheet as possible. Be sure to mark them off as you discover them! Note: If you don’t wish to use the printable here are some ideas for things to look for: pine cone, cloud, bird, yellow leaf, red leaf, orange leaf, brown leaf, moss, acorns, stick, seeds, spider, squirrel, big rock, tall tree, mushroom, something smooth, something soft. You can simply write as many ideas as you’d like on a sheet of paper and use that as your guide. I hope this activity makes your next fall hike extra fun! If you are looking for more fun fall activities check out 12 Fall Activities to Welcome the Season!